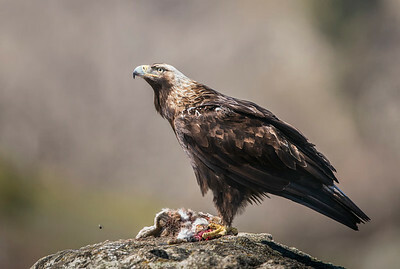 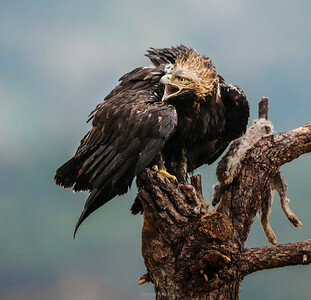 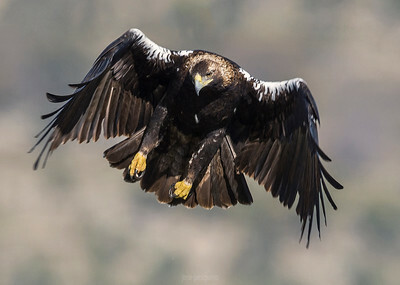 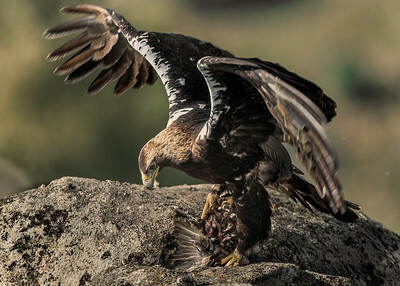 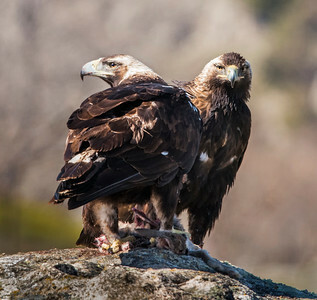 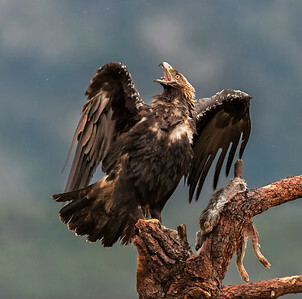 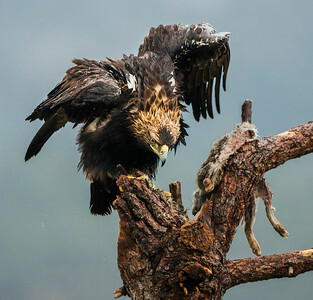 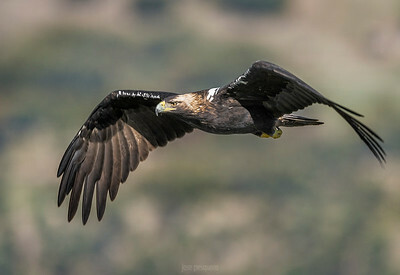 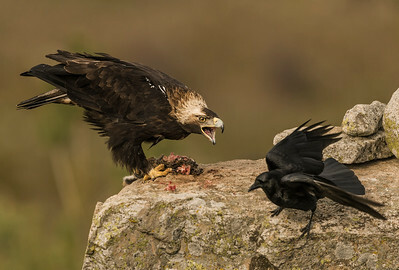 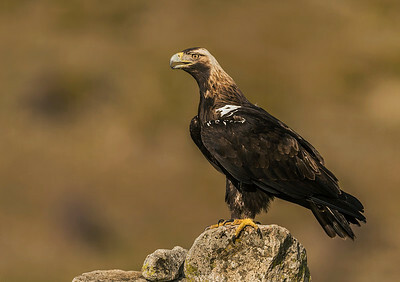 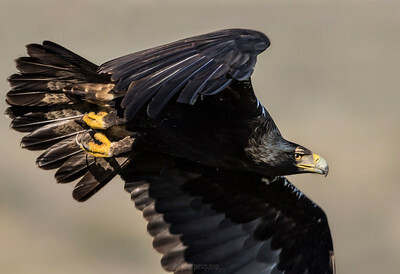 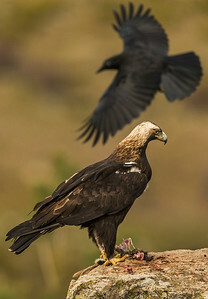 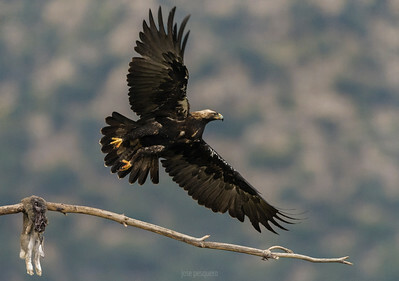 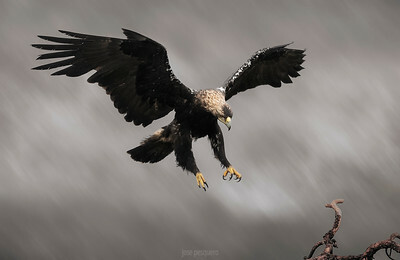 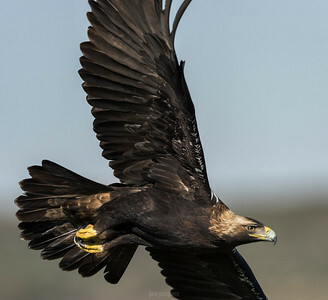 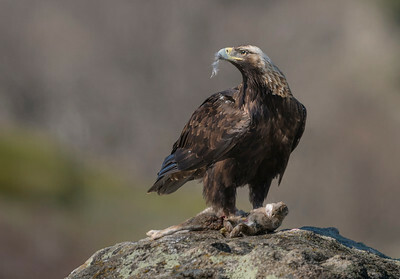 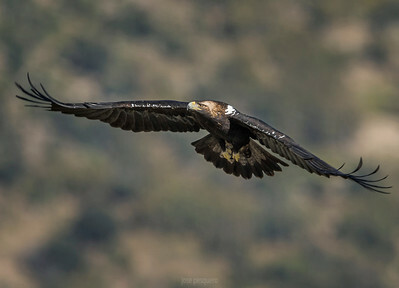 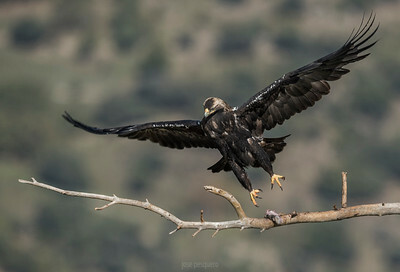 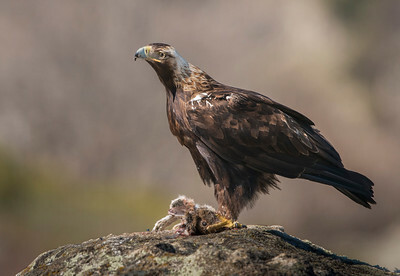 Adult imperial eagles (Aquila Adalberti) are stocky in shape with black-brown feathers and a pale golden crown and nape. 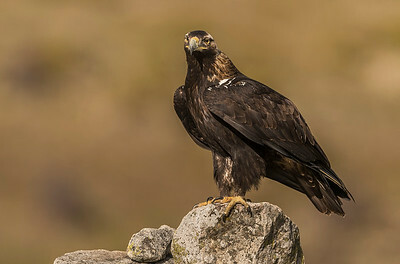 The shoulders have prominent white patches and the tail is greyish-brown. 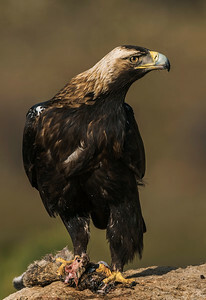 The head is large, the wings are long and straight and the strong feet have long, curved talons. 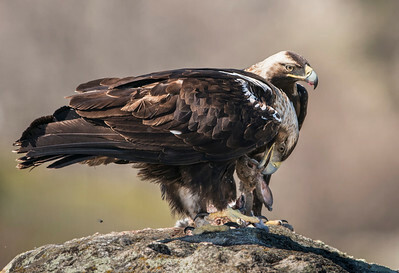 Juveniles are paler with patterning on the rump, wings and tail. 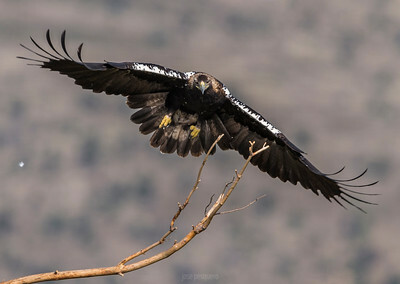 They have bold streaks on the underwings and the underside of the body. 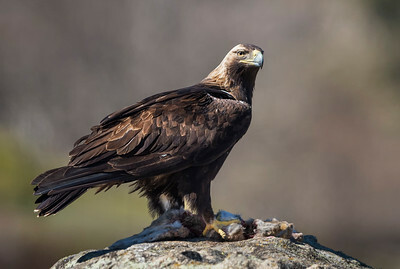 The Eastern Imperial Eagle is a large eagle with a length of 72–90 cm (28–35 in), a wingspan of 1.8–2.16 m (5.9–7.1 ft) and a weight of 2.45–4.55 kilograms (5.4–10.0 lb). 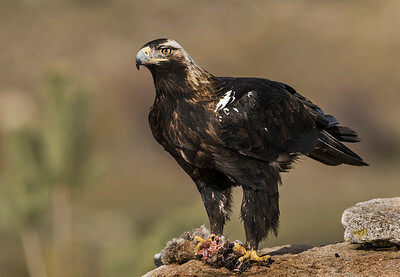 Females are about a quarter larger than males. 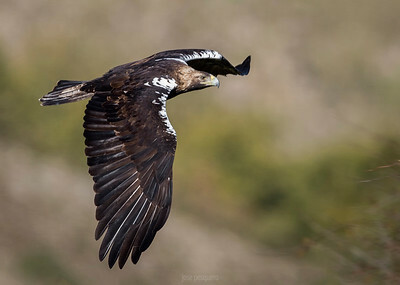 The Iberian Imperial Eagle was considered to be a subspecies of the Eastern Imperial Eagle, but is now widely recognised as a separate species due to differences in morphology, ecology and molecular characteristics. 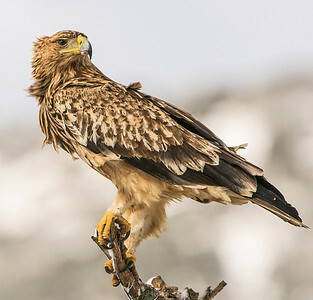 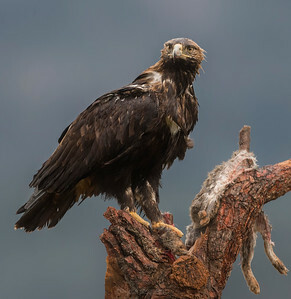 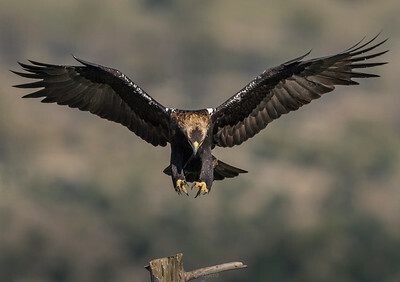 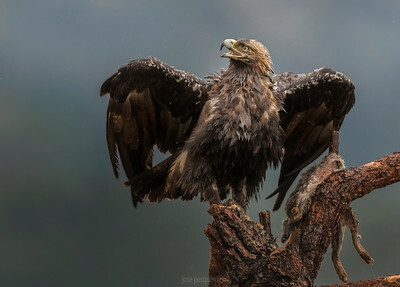 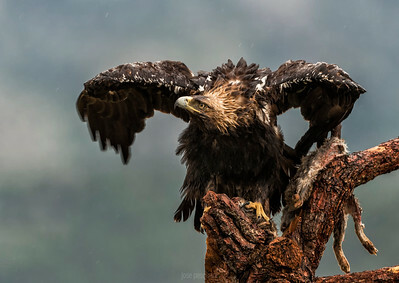 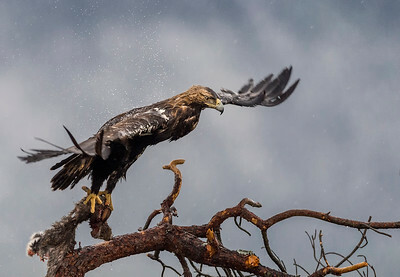 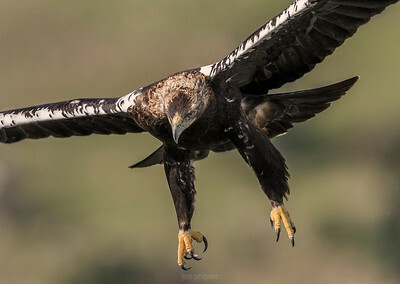 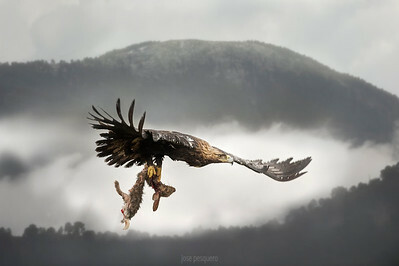 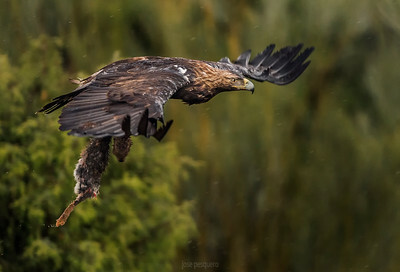 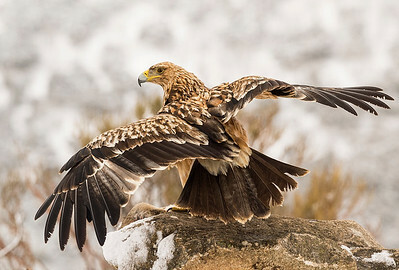 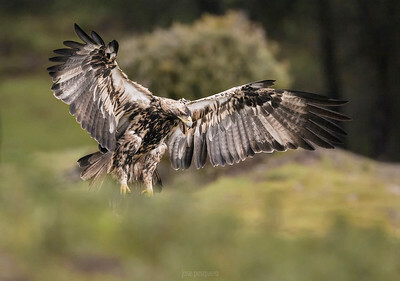 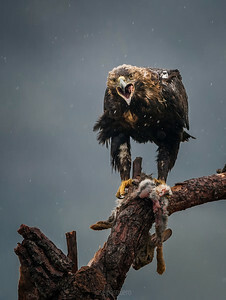 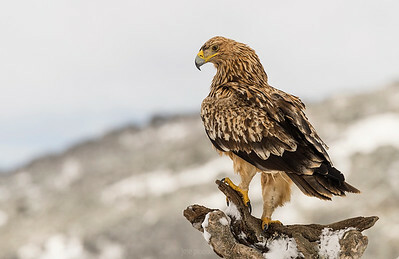 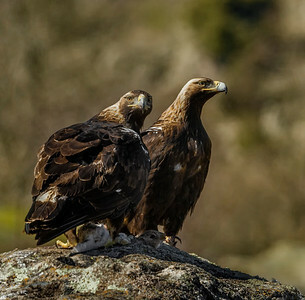 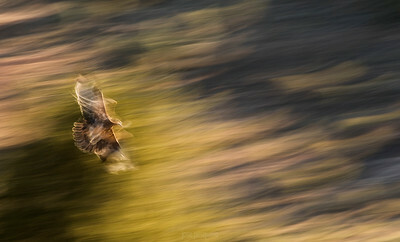 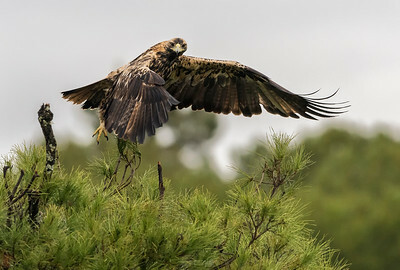 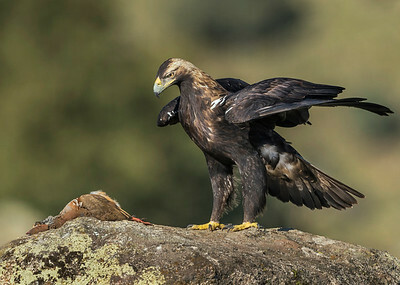 The Spanish Imperial Eagle averages smaller, 2.5–3.5 kilograms, 78–82 centimetres in length and 180–210 centimetres in wingspan, and darker than its eastern cousin, and is a resident species (Eastern Imperial is partially migratory). 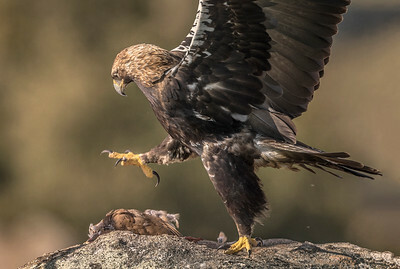 It feeds mainly on rabbits, but can prey on many other animals, such as partridges, rodents, hares, pigeons, crows, ducks and even small dogs.